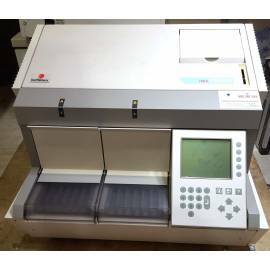 Analyzers, immunological, second-hand for the determination of hormones, markers of cardiac, tumor markers, and serology infectious. 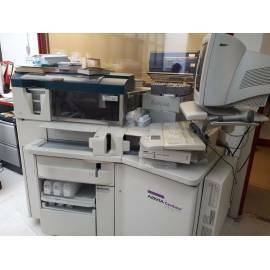 The immunology analyzer Siemens ADVIA Centaur XP provides a comprehensive menu of immunoassays focused on the analysis of infectious diseases, thyroid, fertility and anemia, as well as tests of cancer, cardiac diseases, allergy testing and therapeutic control of drugs. Performs up to 240 tests per hour. Holds up to 180 samples, as well as up to 30 packs of reagents. Scanning of bar codes for samples and reagents. Continuous charge of samples and reagents. Other features include: test of reflexes and repetition and dilution automatic; high cooling capacity for samples and reagents; automated monitoring and maintenance; test of reflexes automatic with options in cascade.